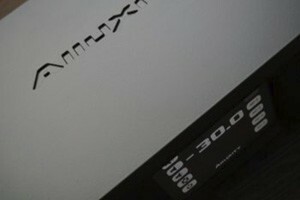 With clean lines and a 5 inch touch display, the Alluxity units look like little else in the High-end world. The one-piece chassis gives the product a quality look; the user interface enhances usability and enables status feedback to the user in an easy to read manner. All chassis are milled out of one solid block of aluminium. During the design phase, complete separation of channels, power/control and signal parts of the products was carefully considered to make sure noise reduction and musical performance were further enhanced beyond the electronic design. The electronics inside the amplifiers combine some of the best leaded components available on the market today with high quality SMD components - completing the amplifiers essence of profund power and amazing quality. The Integrated One is built upon the same topology as the Pre and Power, with fully discrete balanced modules and zero global feedback, assembled with building blocks that make future upgrades or replacements affordable and easy to do. Built like all Alluxity products the Integrated amplifier’s chassis is milled out of one piece of aluminium and finished in either satin white or black (Titanium Orange and Titanium Grey are also now available on request), with a luxurious powder coat finish. Featuring 200W in to 8 ohms ( nearly doubling in to both 4 and 2ohm ) and equipped with a total of 5 inputs, 3 Unbalanced and 2 balanced, the Integrated One is a truly flexible taste of pure high end performance. If more power or poise is required the Integrated One also features a pre-out facility. The Media One is Alluxity’s first source product. It’s an obvious choice for those looking for a perfect partner to their current Alluxity products. Combining a perfect mixture between lifestyle and high end build & performance. However this highly talented & capable source should be considered by all who are serious about Digital networked music replay! Built on the reliable ReQuest software, the Media One can act as both a 2TB server and a Streamer. The control software allows for seamless operation with other Alluxity products, with control being accessed by all phone & tablet devices. 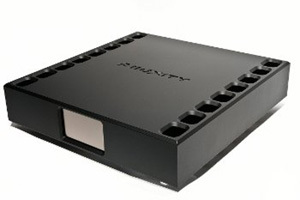 Featuring 4 types of Digital input ; S/PDIF – AES – TOSLINK and USB, as well as a stunning internal dac and multiple linear power supplies, there should be doubt that this product is designed for ease of use & pure Alluxity performance. With its modular architecture, two optimised gain stages per channel and a transparent relay attenuator for volume control, the performance of the Pre One is amongst the best in the world. The module's topologies are balanced, with zero global feedback. This prevents even minor phase errors and ensures low noise levels. As the modules are easy to replace, potential future upgrades will be extremely cost-effective compared to a new preamplifier. 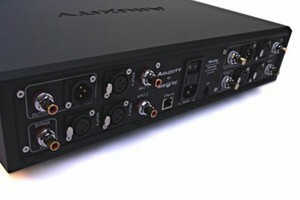 The Pre One features a total of 5 inputs, with 2 RCA and 3 XLR. There are a choice of XLR and RCA outputs and also a dedicated bypass output. The volume is adjustable from -66dB to +6dB. With balanced design, no parallel output devices and zero global feedback, Power One gives a musical performance rarely heard in solid-state designs. This is achieved without compromising full resolution, dynamics or extreme power handling. 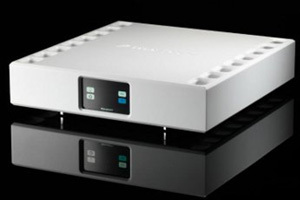 Despite its relatively small size, the Power One is a very powerful amplifier and it will drive virtually all loudspeakers to high levels even in large listening rooms. Minimum output is 200Wpc (RMS) into 8 ohm loads, virtually doubling into 4 and 2 ohms. 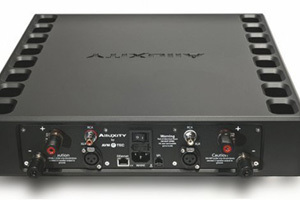 The Alluxity product line is a culmination of Alexander being raised with both music & musicians in an Audiophile environment, as well as working for many years in the high-end enviroment of the family business (Vitus Audio). Initially the musician part of Alexander was the dominating force in his life, but as listening to reproduced music grew , Alexanders curiosity and interest in optimizing performance become his life force. For 5 years Alexander worked in the family business. There he learned about electronic manufacturing & design, using SolidWorks, Altium Designer etc but more importantly also learning about the relationship between different aspects of application’s & design ( cause & effect ) and making optimal choices with this in mind. As Alexander got older he wanted to go his own way. This resulted in him starting his own company (AVM-TEC) His business initially focused mainly on the creation & design of solutions utilizing Surface Mounted Technology. To keep up with increasing demand on his designs & circuits, an investment in far more sophisticated & specialist SMT equipment was required to realize Alexanders ambitions. A by product of this investment was that Alexander could at last realize his idea’s, dreams and ambitions.